Manchester City lead the pack, but how will it finish? 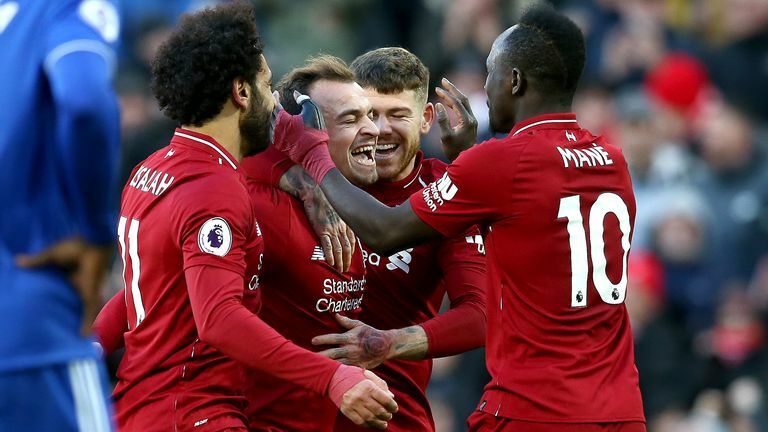 With 10 games gone, we asked Charlie Nicholas, Paul Merson and Phil Thompson to give their verdicts on last season's top-six sides and predict where they will finish at the end of the campaign. Manchester City currently lead the league they won with a record-breaking points tally last season, but are ahead of also-unbeaten Liverpool on goal difference only. Chelsea sit two points off the pace and Arsenal another two behind them, despite embarking on an 11-game winning run in all competitions which was ended on Sunday by Crystal Palace. Tottenham are another point behind, Manchester United are in eighth place after winning five of their first 10, while Watford and Bournemouth have surprised many, sitting sixth and seventh respectively. City still have the best squad in the league and, for me, they'll just take it ahead of Liverpool, who should run them close. Chelsea are all about Eden Hazard but if he stays fit then they should have enough for third, but fourth place was a real poser for me. Arsenal have been a pleasant surprise for me this season - Liverpool and Spurs have had their best starts to a season but Arsenal are right up there with them under the new manager so, being an Arsenal man, I'll go with them to edge out Spurs for fourth place due to the lack of signings Mauricio Pochettino has made. As I've said for a while now, Manchester United are way off the pace. Manchester City are just a bit too good for Liverpool, and Chelsea are very reliant on Hazard. Tottenham might not have signed anyone in the summer, but they've only got to get into the top four and before Monday night it was their best start to a season. Arsenal have too much to do to bridge the gap, their defence is still the same as it was under Arsene Wenger in terms of giving away chances, and Manchester United are dropping too many points and not looking convincing at the minute. City still look just too strong for the rest, although Liverpool do have a chance but they'll have to do everything right to get the better of them over the course of a season. Chelsea have impressed me so far and with Hazard they can take third.